Who needs store bought pop tarts when you can make your own right at home? 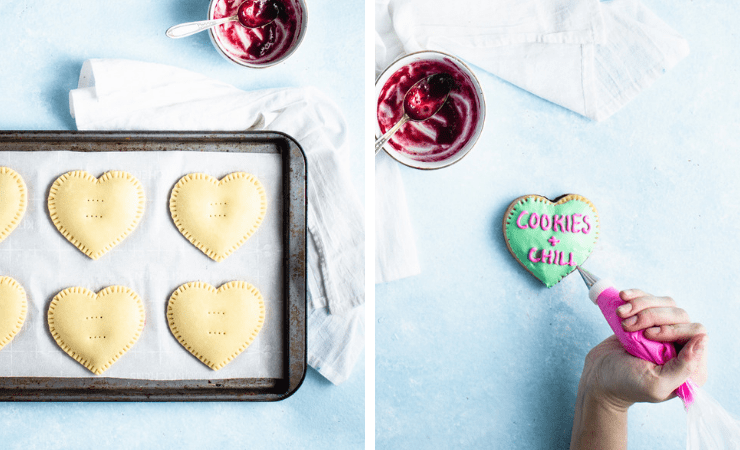 These flaky pop tarts stuffed with your filling of choice are the perfect way to get your Valentine’s Day off to a sweet start. 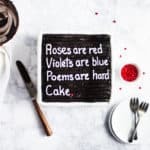 We’re just 2 1/2 weeks away from Valentine’s Day, which means it’s time to make sure your valentine dessert and breakfast game are strong. First, whip up your pop tart dough. This is really just a basic pie dough recipe, so feel free to substitute with store-bought dough if you’re short on time. If you’re using store-bought you’ll need two crusts. Second, cut out your dough using a large, heart-shaped cookie cutter. Fill with about a teaspoon of your filling of choice. Jams work well as does nutella. Third, seal your pop tarts by running a little water along the edge and pressing together with a fork. Use your fork to poke a couple of vents in the top so the pop tarts don’t explode while they’re baking. Fourth, bake the pop tarts at 350F for about 30 minutes, or until lightly golden brown. If a little filling oozes out of the sides during baking, just wipe that away with a paper towel while it’s still warm. Finally, color all but 2 tablespoons of your frosting, warm each one until it has a thick, glaze consistency and then dip your pop tarts. Tint the remaining couple of tablespoons of frosting and use it to write a message on top of the pop tarts. Never made pop tarts before? No sweat! Here are some tips and tricks to help you make them perfectly from the very first batch. Want to make your pie dough ahead of time? You can make it and refrigerate it for up to 2 days. Be sure not to overfill your pop tarts; Overfilling will lead to your filling oozing out the sides and potentially ruining your seal. A teaspoon or two is more than enough. Consistency of the frosting is key to a smooth finish. The easiest way to reach the right consistency is to microwave the frosting for no more than 5 seconds at a time. Once it reaches a thick, glaze-like consistency, it’s ready to go! To get a smooth finish: The final trick to getting a smooth finish on the icing is to gently tap the pop tart until it settles into a smooth finish. The easiest way to do this is to hold the pop tart by the sides and gently tap the bottom against your counter. Roll the first ball of dough out onto a light floured surface until it’s approximately 9″x12″. Using a large cookie cutter, cut out 9 hearts. Spoon a teaspoon of filling onto your heart cutouts and gently spread it out. Make sure there’s about 1/3″ of open space around the edge of your pastries. Roll out the remaining dough and cut out 9 more hearts. 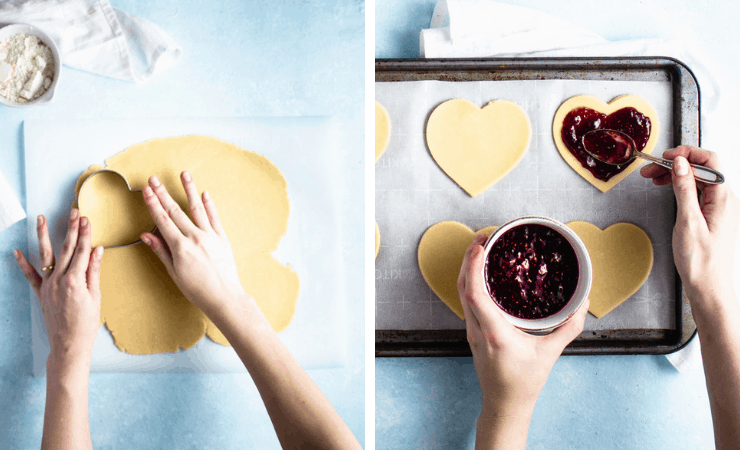 Using your finger, wet the edge of the filled pastries with some water, cover with another heart cutout and gently press the edges together. Use a fork to seal. Bake at 350F for 30 minutes, or until the pop tarts are a light, golden brown. Divide the frosting evenly by the number of colors you plan to use, leaving about 2 tbsp for the lettering. Tint the frosting to the desired shades. Microwave each bowl of frosting in 5 second increments until the frosting reaches a thick, glaze-like consistency. Dip the pop tarts into the warm frosting and gently shake off any excess before turning them right-side-up. Tint the remaining 2 tbsp of frosting to the desired color, spoon it into a piping back with a small, round tip (I used a Wilton #2) and pipe whatever sayings you’d like onto the pop tarts. These are too freakin’ cute! Love how you could customize them with colours and phrases! My niece would love these too! What a brilliant idea! I love how you can customise them and make them suit the people you’re making them for. My kids would definitely love them. What a fun and delicious idea. I would be the BEST GRAMMA if I made these for the kids. Fun and delicious for everyone to enjoy. I would love writing the messages for sure. These are absolutely adorable. I think a definite upgrade from the chalky candy. I love the pastel colors and how they have some modern sayings on them. Cute! Thanks for sharing. These would be awesome for a bachelorette’s party/hen night! It does not always have to be cupcakes, right? These look like a lot of fun! These are adorable! 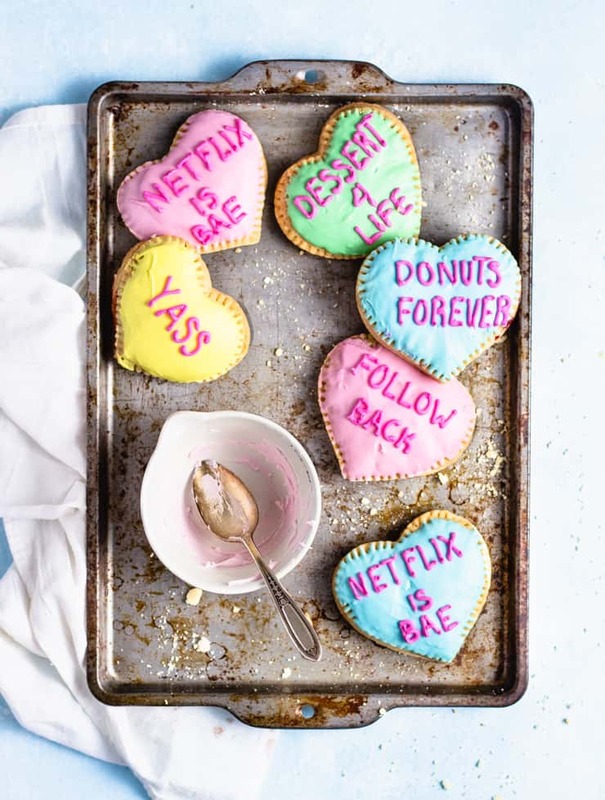 So clever and much cuter than valentine day cookies. 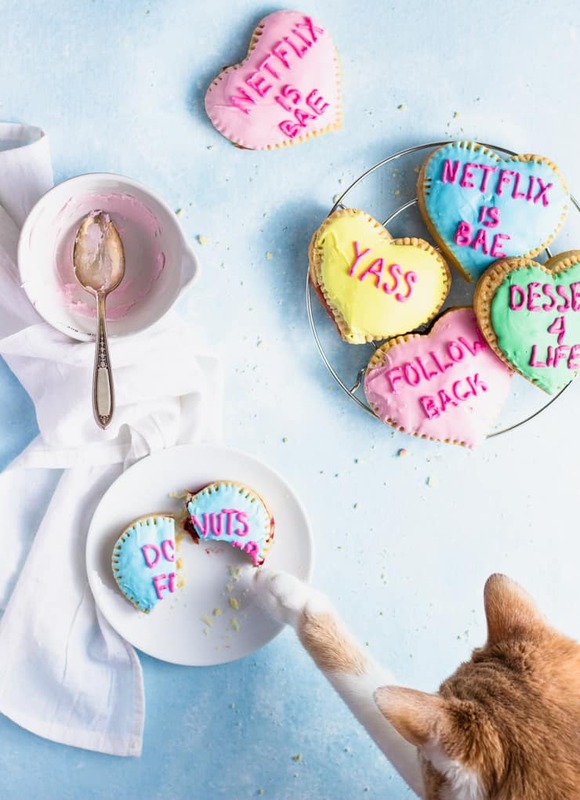 Ummmmm…these are the most adorable treats EVER! 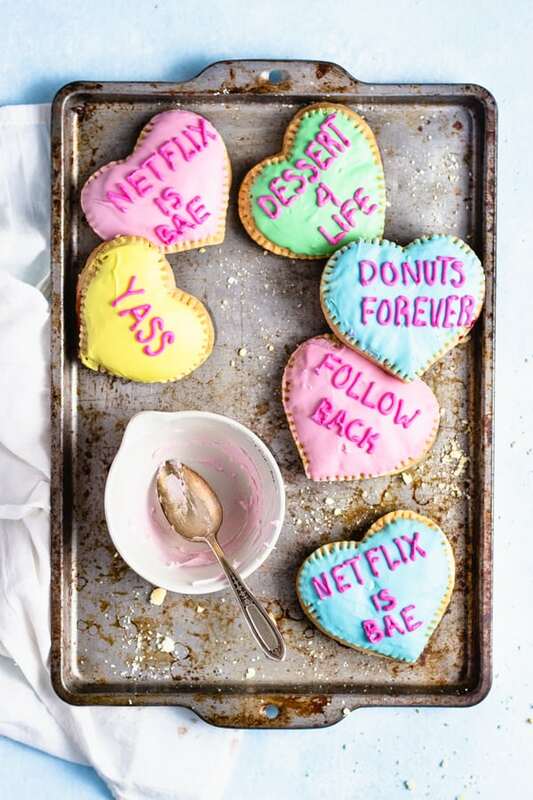 I SO want to make these for Valentine’s this year. Love them so much! I completely heart these!! 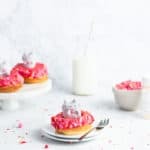 So much fun, these are the perfect for breakfast on Valentines Day. My daughter is going to love them. 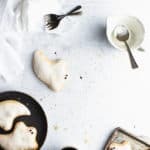 I absolutely lOVE these homemade Valentine pop tarts! Too darn cute!!! The process is really easy, your directions rock! I have to make these with my niece, who is 6. She will love to make these for all my family. Awww such an adorable heart pop! 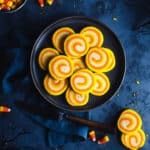 I bet these are super fun to make and absolutely delicious too. With Valentines Day around the corner, these are so perfect! OMG, these conversation heart pops look so adorable, they are so pretty! 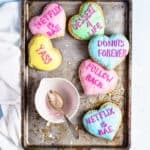 Such a beautiful recipe for V day. These are SO ADORABLE. I’m going to make them for my son’s preschool class – they will all love it!